I don’t know how this is even possible, but here we are…entering the last stretch of this school year. This year marks a very special point in my career. It was eight years ago that I joined the CSD family as a very eager 4/5 lead teacher. I remember everything so vividly, from my interview, to my first staff retreat, to my first set of Covenant Conferences, to the first day those angels walked in mine and Mrs. Aichele’s 4th grade classroom. I can see the room plain as day. I can smell the “back to school” smells of new markers, new glue sticks, and freshly laminated name tags. I can see the new backpacks hanging on their hooks, and I can hear the sound of the children’s laughter as we shared stories over Morning Meeting. I can vividly recall each and every face –sometimes filled with wonder and awe, sometimes filled with happiness and joy, sometimes filled with anxiety and fear. Over the course of two years, you see just about every “face” a kid has to offer. I can only imagine what they would say about my faces! But two years just wasn’t enough for me. I knew we had more work to be done together, and thanks to a wonderfully supportive administration team, I was able to continue that journey with them up into middle school. That means that for about a quarter of this graduating class, I had the great honor and privilege of being their teacher for five consecutive years. GET OUT! This was no doubt the experience of my career. In that time, I fostered deep relationships with students, parents, and colleagues that have forever changed me. We laughed together, we cried together. I would venture to say we’ve done just about all of it together, and now we’re going to send these incredible young people out into the world to share their magic with the rest of society. This is where it gets really good. But here’s a little something I’ve learned, and I want to take this opportunity to share my insight with you as I truly think it’s incredibly powerful. In my time with these kids, I saw kids crumble in the face of adversity and declare they “couldn’t do it” because they were “not smart.” I saw smart kids – kids who would fall into the academically gifted program at other schools – hit brick walls in their learning and then scramble to save face. They, too, were just as inclined to give up as the struggling kids, if not more so. I saw kids, despite their effort to master the material, fail EOG tests year after year. I comforted parents who sobbed in my classroom as they fretted about their child’s future and whether or not their child would ever make it to college. I met with frustrated, angry parents who insisted their child was not challenged and doubted the school’s ability to provide an education that would result in admission to top-notch higher education. I saw kids who struggled in other capacities –socially, emotionally, or physically – all of whom carried their own unique fears and struggles. I saw a lot unfold in my five years with this class, and I’ve seen a lot unfold in the past four years since they entered high school. I’ve seen kids pass EOC’s who never passed EOG’s in elementary school. I’ve seen extremely bright kids greet challenges with open arms and decide to take risks no matter what the “grading” outcome might be. I’ve seen parents’ faces light up with pride (and perhaps a little relief) as they learn their child has been accepted into the school of his/her choice. And most beautifully in my opinion, I’ve seen students grow into extraordinary young adults who are passionate, self-assured individuals that have tremendous potential to make the world a better place. I know I am asking you all to do a lot of reading this month, but this message is HUGE, and I really can’t emphasize its importance enough. Please take a few moments to read the following article by Dr. Dweck entitled, ‘The Secret to Raising Smart Kids.’ I think, like me, you might find some of what she says to be shocking. In closing, I just want to offer a few tidbits of advice to parents as we enter “testing season.” We know that all parents mean well and only want what’s best for their children, but sometimes our “well meaning” can work against us. As teachers in the classroom, we cannot undo test anxiety that is created at home. 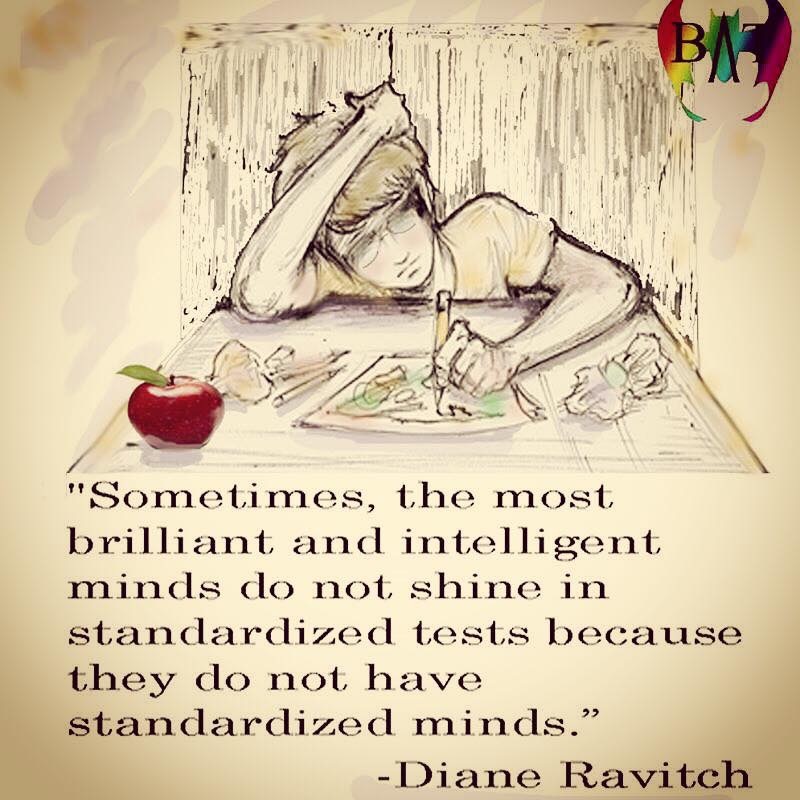 So please take to heart the stories I have shared in this post and remember that in time and with the right mindset, kids who struggle with standardized tests can and will catch up! The trick lies in not inadvertently pushing them into a “fixed mindset” with our words and actions early on. We must be patient, and we must be mindful of the science behind this. Additionally, I hope that by sharing our own personal experiences and anecdotes, your parental fears and anxieties will be put to ease. Time has a way of working wonders; trust us! And if you need another reminder, perhaps you will consider joining us for this year’s graduation ceremony. These kids and their stories are a testament to what we do everyday. So take a deep breath and relax. It’s fine to look out towards the horizon but please don’t forget to look around and enjoy the ride.